Gov. Hasan Karahan said three people were hurt by falling bricks or after jumping from balconies. There were howerver no immediate reports of death. 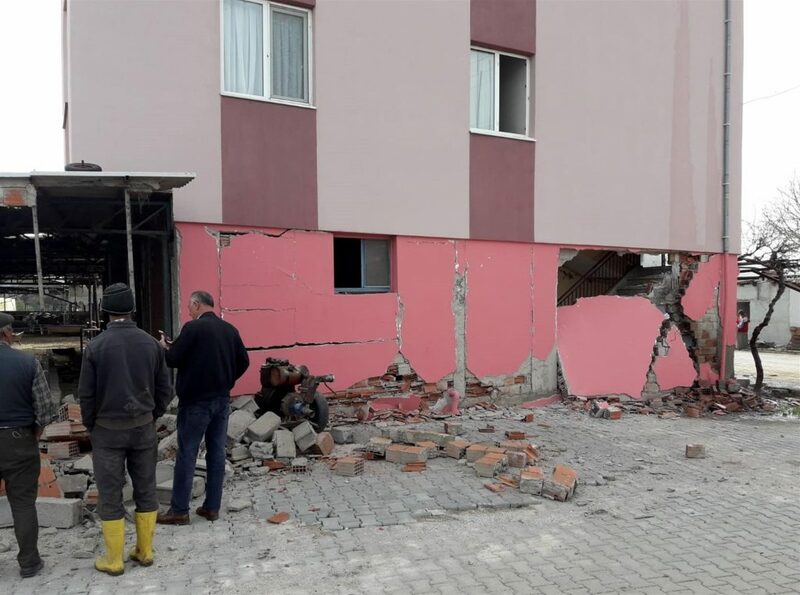 Turkey’s Kandilli Observatory said the earthquake, which stuck at 9:34 a.m.(0634 GMT), was 5 km (3 miles) deep and followed by four aftershocks between 4.2 and 3.4 magnitude and plenty of smaller tremors. 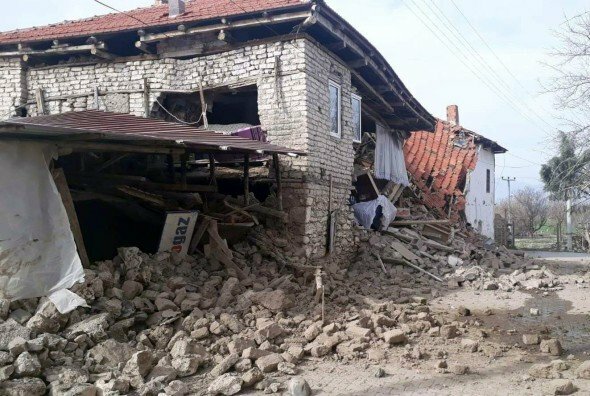 House destroyed after M5.7 earthquake in Turkey on March 20, 2019. This building was lucky to stay up during the quake. In 1999, Izmit in Turkey was struck by a devastating M7.4 earthquake, which killed more than 17,000 people and caused widespread damage.